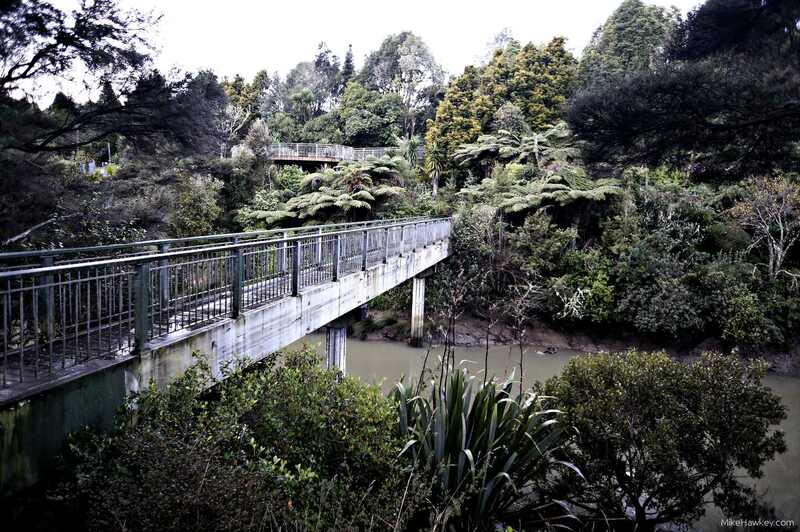 There is something appealing about bridges and walkways through the bush to me. You get the sense of nature, and almost a feeling of timelessness. Sure, the bridges are a lot safer and easier to cross then they used to be (depending where you live), but you are still right there in the bush. Today’s image is again from Kell Park which I visited a week ago. I likes how the bridge crosses the river, disappears into the forest and then reappears at a higher point. In post processing I washed out the colour a little and then brought out a bit more contrast. Unfortunately it was a horrible cloudy day, so the sky is a ‘washout white’. A nice place to wander around and unwind after a hectic day!